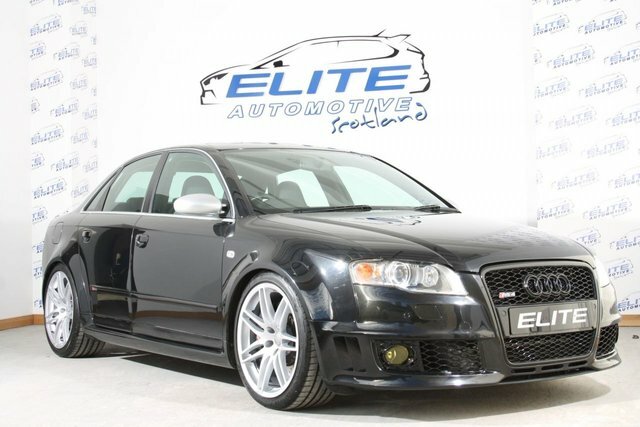 ELITE are extremely excited to offer for sale this High Spec Audi RS4 B7 covering a mere 61000 miles from new!! Factory options include Leather Bucket Seats - Technology Pack - Electric Sunroof - TV function for SAT NAV Plus!! This massive spec immaculate RS4 also boasts new KW Coilover suspension! !